Fire Emblem fans rejoice! 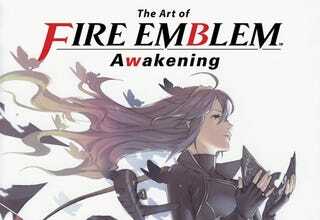 The Art of Fire Emblem: Awakening is being published in English by Dark Horse Comics! Originally published in 2012 under the title Fire Emblem Awakening Kakusei Model Sheets Knights of Iris by Kadokawa, the art book is finally receiving an English translation. Fire Emblem is a tactical role-playing video game franchise published by Nintendo. The series currently consists of six games available in the United States. Fire Emblem: Awakening is the latest Fire Emblem game to be released in the US.Fire Emblem: Fates, the follow-up to Awakening, was released in Japan in June 2015 and will come to the US in February 2016.